All of these supplies can be found at your local craft store. 1) Simply paint the boxes in whichever color you like. 2) If you want to add glitter I suggest doing it before the paint is dry. Or you can use Mod Podge later to apply the glitter. If you are using a glitter pen I suggest letting the pain dry before applying. 3) For the red box, I let the paint dry and then applied the glitter glue to the edge of the lid and the bottom separately. Then I let drip down on it's own! These little boxes are a lot of fun and really easy to make. If you're looking for a last minute Valentines idea this is it! I think it was like 3 or 4 months ago when I promised a paper flower tutorial. Well... it's finally here! After Aria's baptism we had a small reception in the church hall for our friends and family. I wanted to do something special for the tables so I decided on black table cloths with paper flowers for the middle. She was baptized right after Christmas and right before New Year's so I went with gold, silver, black and white as colors for the flowers. This type of paper flower is really simple and versatile. You can use any colors to match your theme and you can make them as full or thin as you like. Ok so let's get started. ~One pack of tissue paper (more depending on how many flowers you want), pipe cleaner, scissors, tinsel (optional). 1) Cut one sheet of tissue paper into four even pieces. I used one sheet to make 4 smaller sheets because I wanted a thinner flower and I also wanted to put the tinsel in the middle as the center. You can use 6, 8, 10... The more sheets you use the thicker the flower, and the less room you'll have to put anything in the center, which is fine! But since I wanted a thinned flower I only used 4. 2) Fold the sheets accordion style and pinch the middle. 3) Wrap a piece of pipe cleaner around the middle. 4) Cut the edges into petals. You can do pointed edges or rounded edges, the possibilities are endless. You could even use those scrapbook scissors with the various blades to get the effect you want. For this flower I simply used my scissors to make rounded edges. 5) Then begin to peel up each layer of tissue paper. Peel the layers clockwise, don't do one side then the other otherwise the flower will turn out lopsided. I know that sounds weird but that's just what's happened in my experience. Yes. I might be a little crazy. And it will end up like this! Then I added just a little bit of tinsel to the center. I used tinsel because that fit the season we were in but there are lots of other things you could use. 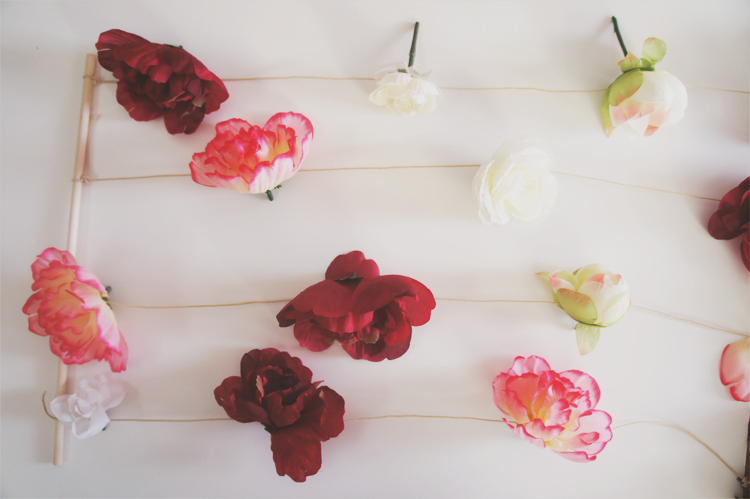 You can use paper flowers for parties or for around the house. When I was little my mom would make a bunch of them for me to use as a bouquet when I was playing "wedding". If you decided to make some flowers let me know how they turn out!